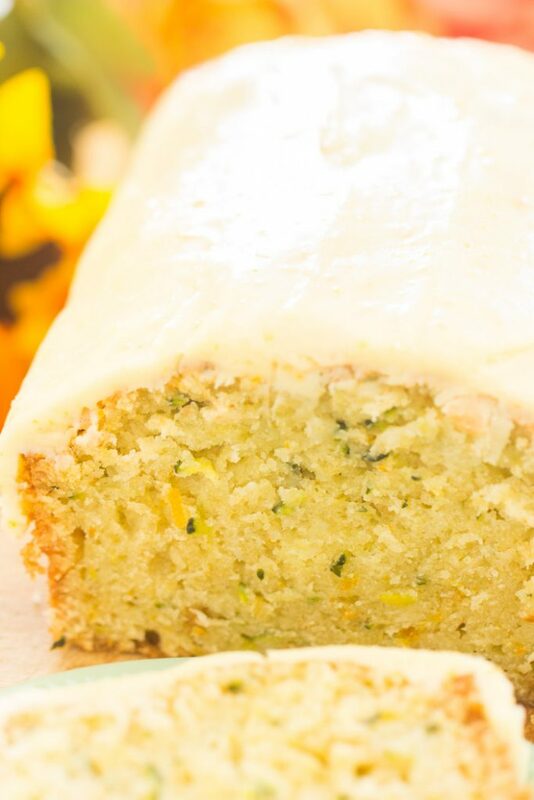 This Orange Zucchini Bread with Orange Glaze is one of a whole slew of zucchini recipes coming up shortly! Zucchini is one of my new favorite ingredients. It’s like the pumpkin of spring and summer. That’s how I feel about it… the way I feel about pumpkin in the fall and near Thanksgiving is how I feel about zucchini around this time of year. It’s a newer development, but I’m going with it. It started last spring. I got really excited about zucchini, came up with a bunch of zucchini recipes that I adored, and now I want alll the zucchini things. Fortunately, zucchini is typically in great abundance. Do do you have a veggie garden? 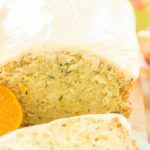 As soon as you have zucchini coming out your ears, make this Orange Zucchini Bread with Orange Glaze! It starts with a family recipe for Chocolate Zucchini Bread, which I used to make these Chocolate Zucchini Muffins too. It’s a family recipe from my dad’s mom, my Grandma Bessie, and it’s older than me, for sure. Tried and true, it stands the test of time! 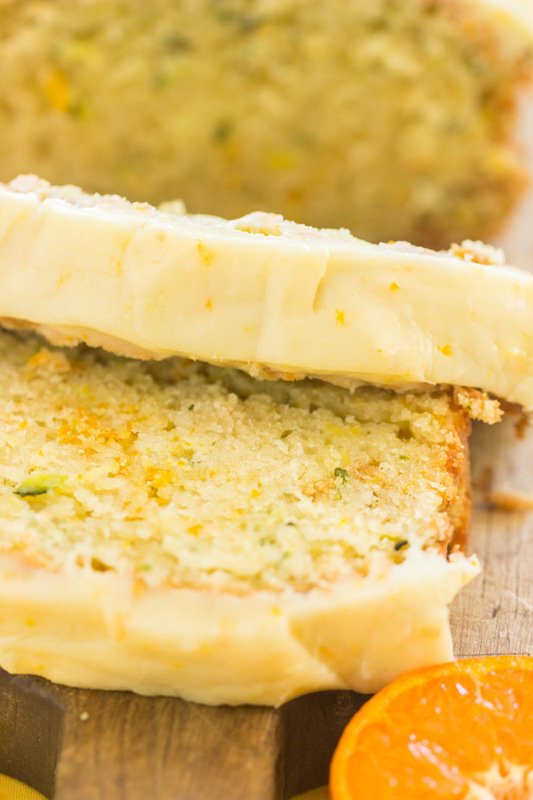 It makes great zucchini breads, whether you include the chocolate or not, or whether you substitute that chocolate for citrus, like in this Orange Zucchini Bread recipe. 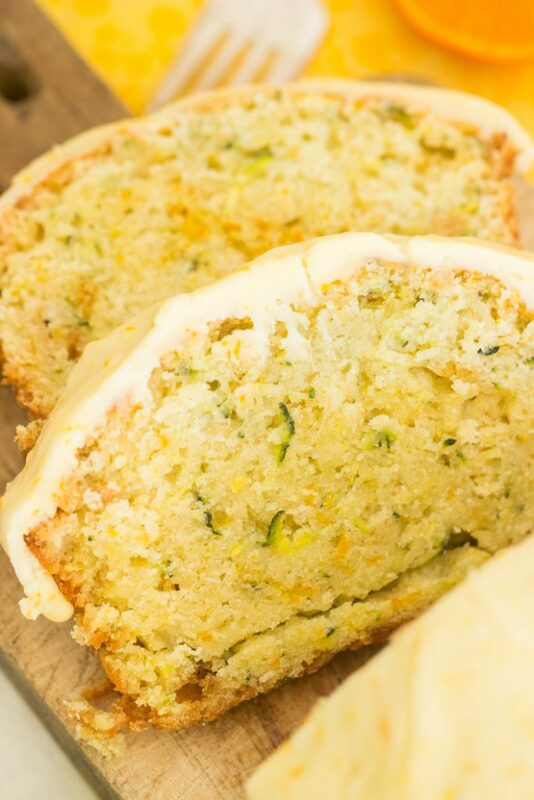 You’ll never know there’s zucchini in this bread, except for its best qualities. It adds intense moisture. It also adds the teeniest bit of sweetness. I know that’s weird because it’s a green veggie, and it has almost no actual flavor, but it most assuredly adds a hint of sweetness. Trust me because my tastebuds are just that sophisticated. Ha. I notice sometimes, especially with breads and cakes, that citrus makes things sticky. I personally love it! When I add citrus to breads, I also notice that it seems to make the top a little crunchy and crackly. This is a consistent trend I’ve picked up on, so I’m thinking that the sugars in citrus must have this effect – sweet stickiness and a crackly, crusty top. This Orange Zucchini Bread with Orange Glaze is almost like a pound cake or loaf cake! Very cake-like, but if we call it bread, we can eat more of it. Because it has green veggies in it, we can eat it guilt-free! 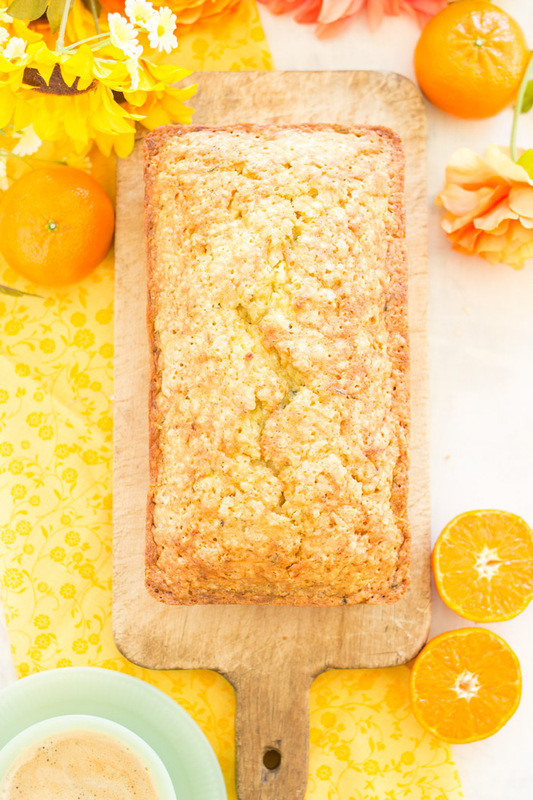 It’s immensely moist, sticky sweet, dense, but with soft crumbs, and BURSTING with fresh orange! It’s such a jolt of sunshine in this never-ending winter. This Orange Zucchini Bread recipe comes together quickly (save for zesting the oranges! ), freezes beautifully (with or without the glaze! ), and is a crazy-moist, sticky sweet orange bread with touches of butter and vanilla, and a fresh orange glaze. We’re totally hooked. 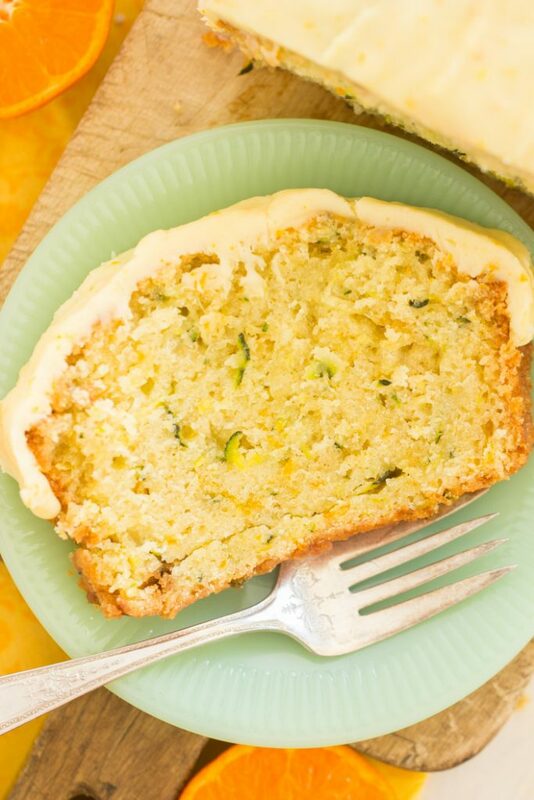 Let’s quickly revisit some past zucchini recipes! This Chocolate Zucchini Coffee Cake is loaded with cocoa, chocolate, and even a chocolate streusel. 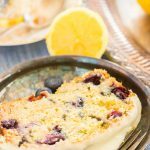 Another brunch option – these Blueberry Zucchini Bread Pancakes are so light and fluffy! 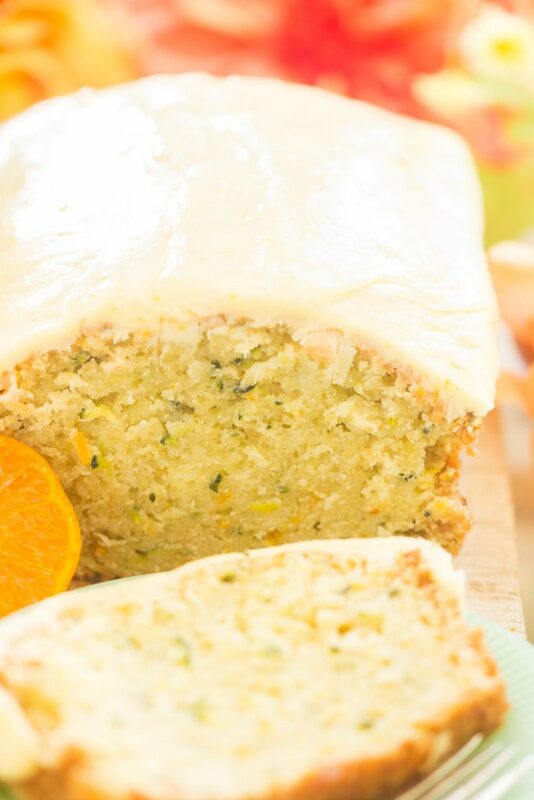 A crazy-moist, sticky sweet orange zucchini bread with touches of butter and vanilla, and a fresh orange glaze. In a large bowl, whisk together eggs, sugar, oil, vanilla, and orange zest and juice. In another large bowl, whisk together flour, salt, cardamom, and baking soda. Add the wet ingredients to the dry ingredients, along with the zucchini, and stir until just combined. Do not overmix. If you'd like to add any nuts, fold in about 1 cup chopped nuts. Line a 9x5-inch loaf pan with foil or parchment paper, letting the edges hang over the pan. This is a MUST - bread wants to stick to pan. Coat with non-stick spray. Bake at 325 degrees for 60-70 minutes, or until top and edges are golden, and a toothpick inserted near the center comes out clean. Remove to a wire rack to cool for 10 minutes. Run a knife along any edges that may have seeped and stuck to the pan. 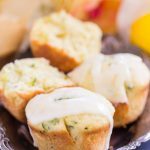 Remove bread from pan completely using the foil or parchment paper edges. Cool completely. In a medium bowl, whisk together all glaze ingredients until smooth. Depending on how juicy your orange was, you may need to add a little water or more powdered sugar! 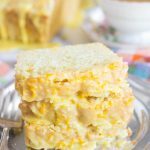 You should be able to drizzle or pour it, but it shouldn't easily run off the bread. Drizzle glaze over cooled bread. Cut and serve.